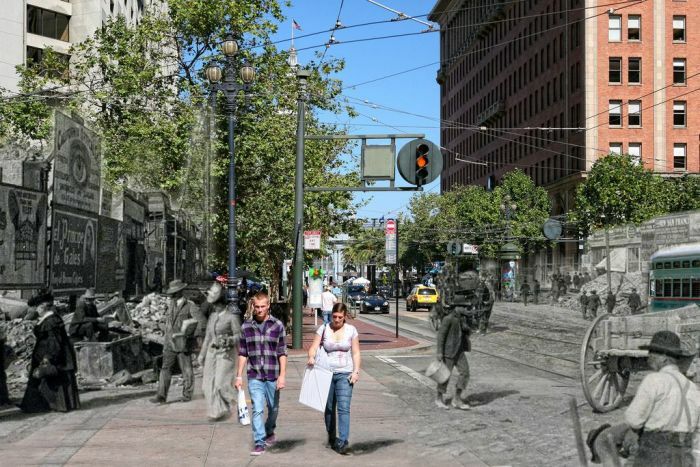 Amazing project by Shawn Clover. 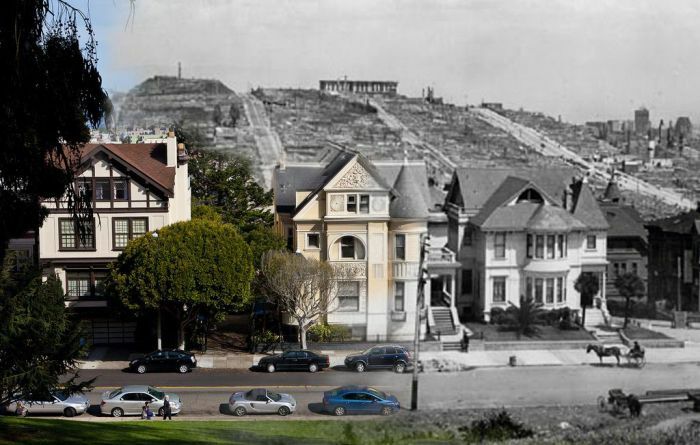 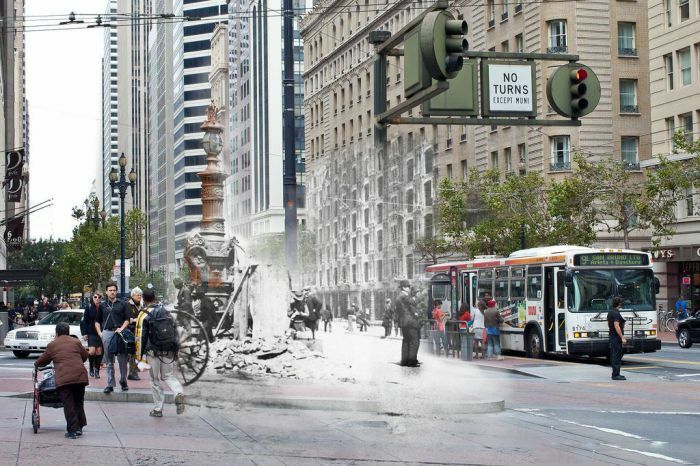 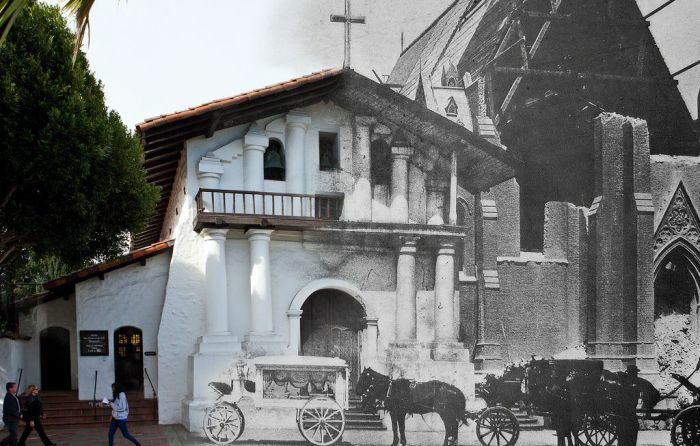 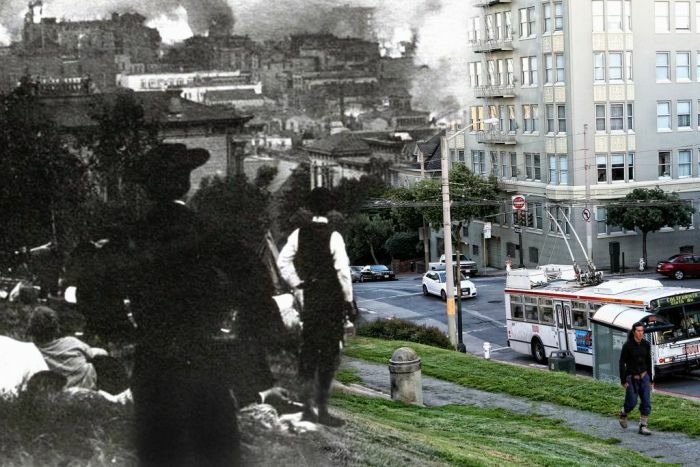 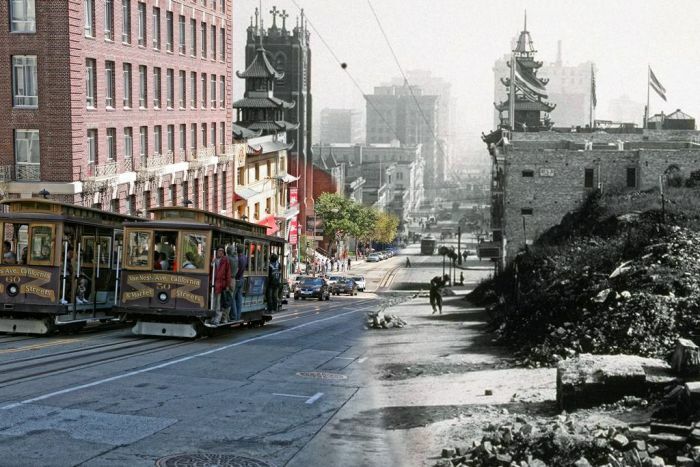 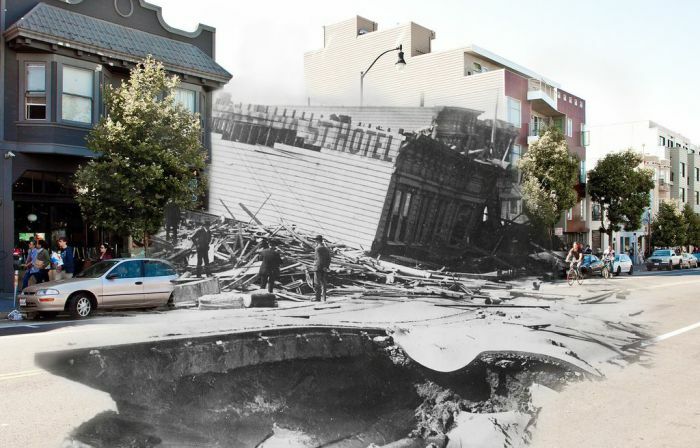 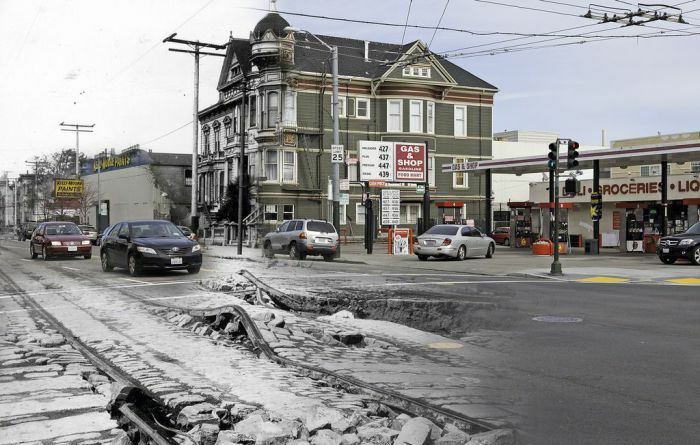 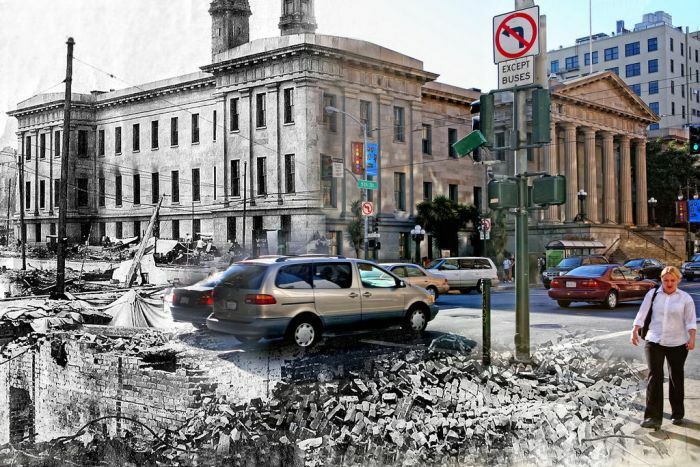 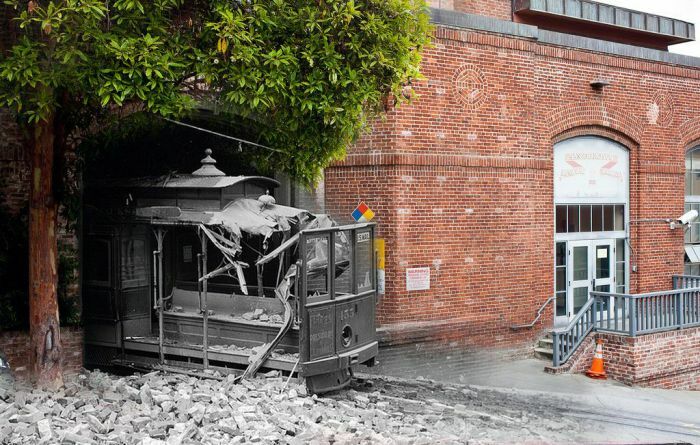 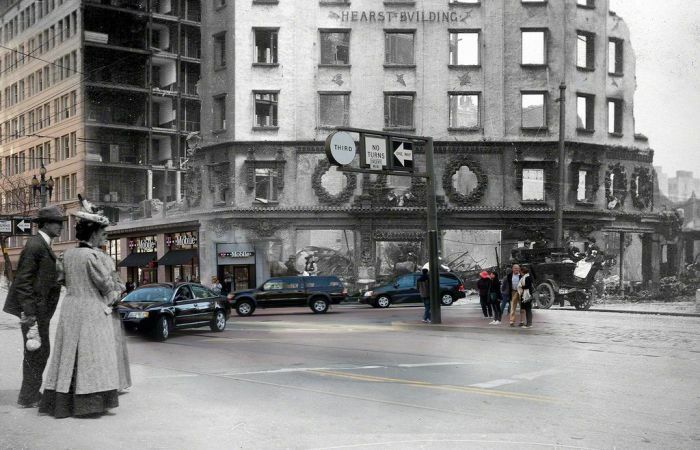 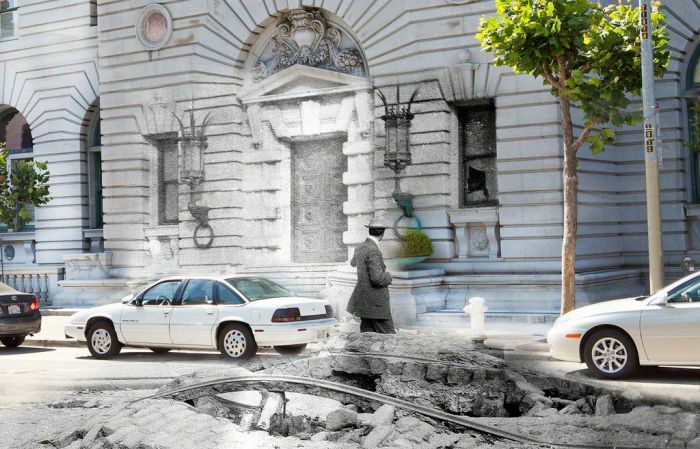 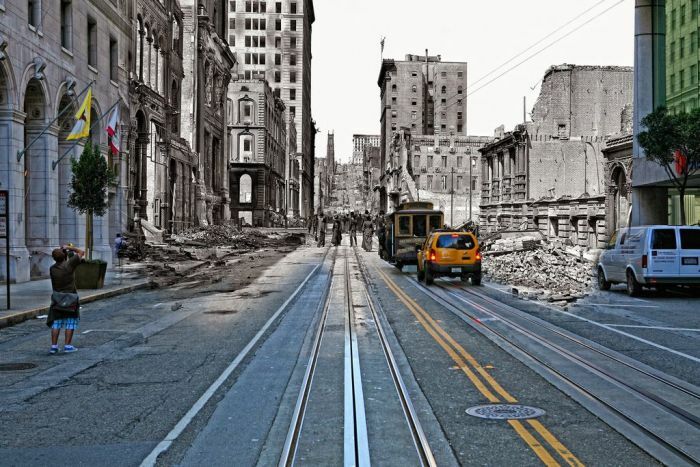 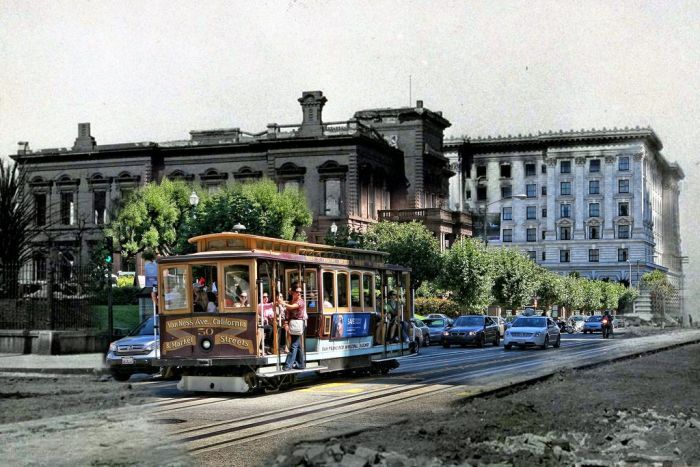 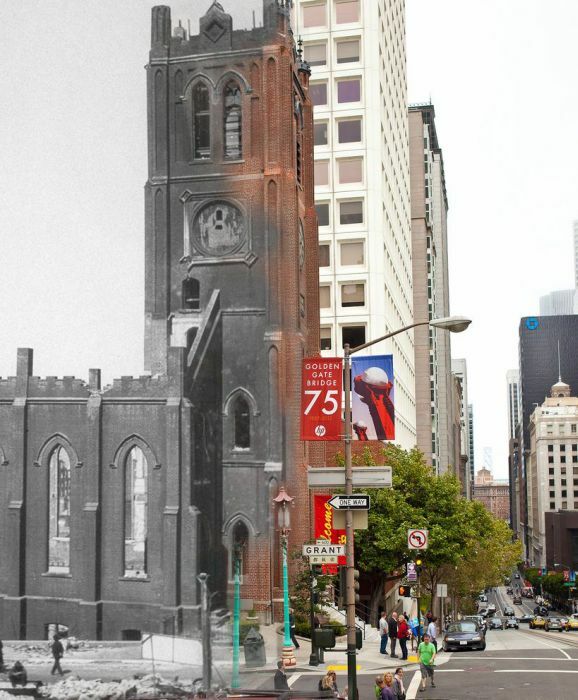 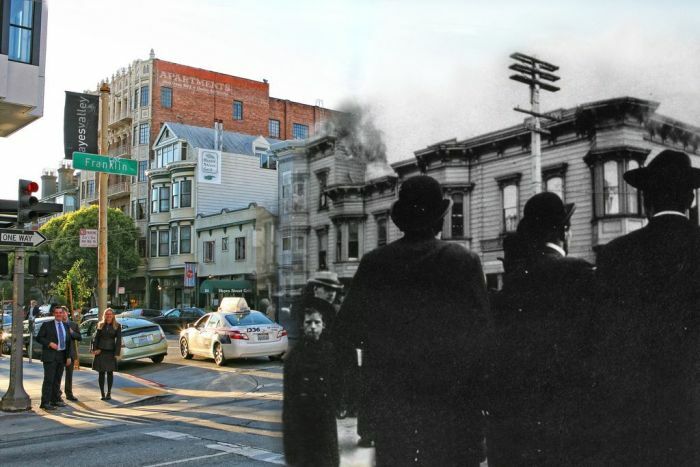 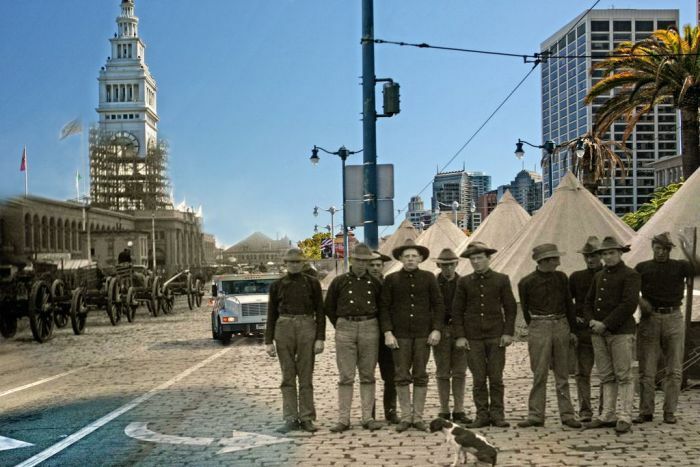 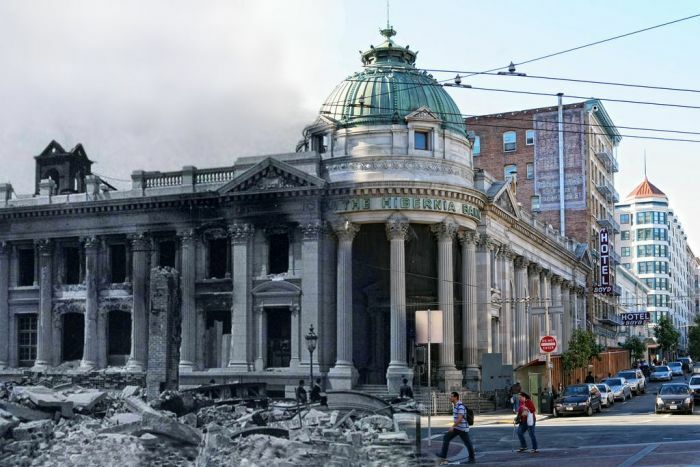 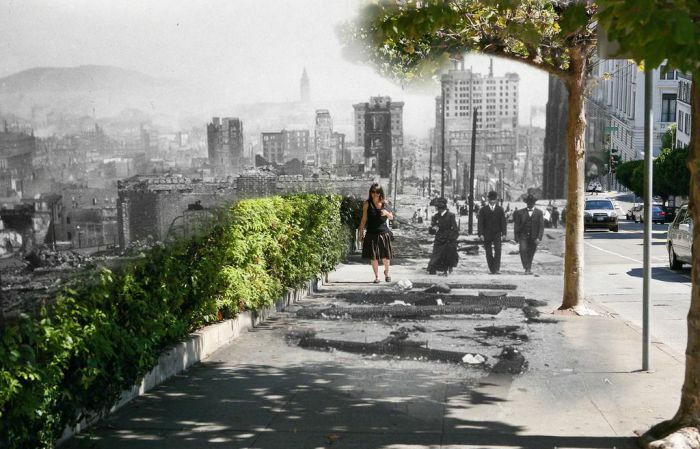 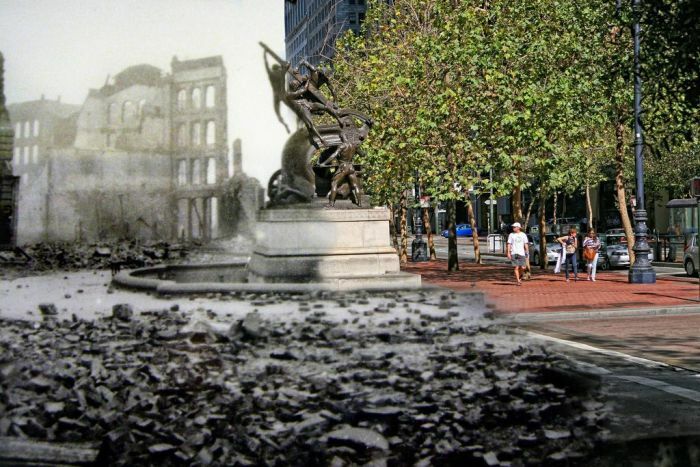 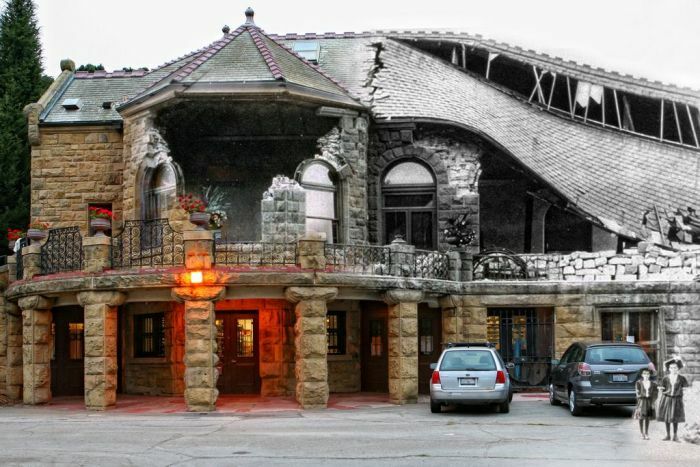 Streets of San Francisco after the earthquake of 1906 and now. 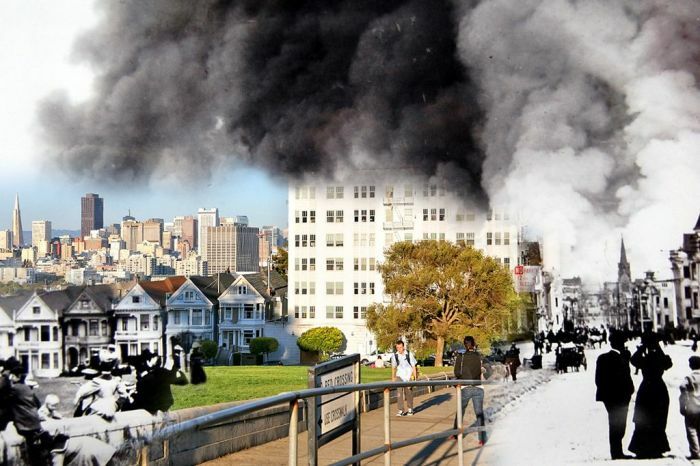 Very well done, even if you only took the perspective into account. 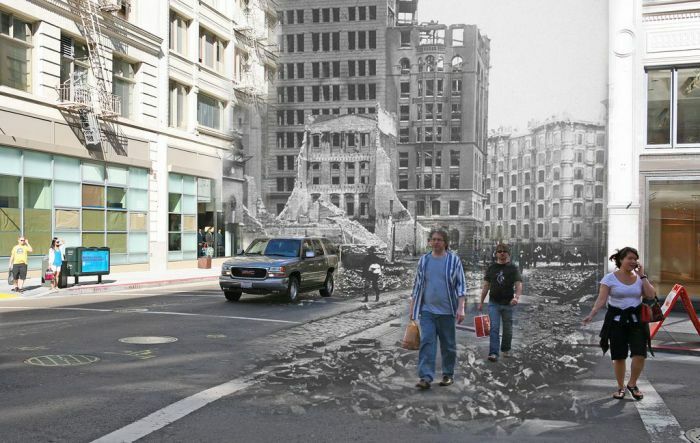 After that this must have taken hours, if not more to do each one. 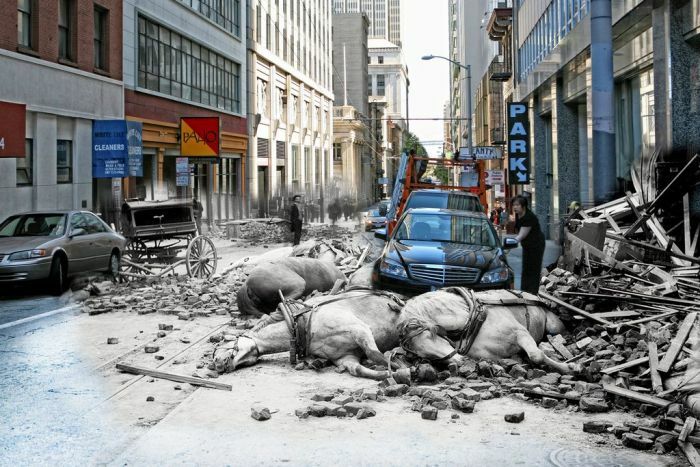 As sad as it is the one with the horses, relative to the modern car parked near them, is particularly effective.